State fairs might have roller coasters and petting zoos, but let’s face it — the main event lies in tasting all of their calorie-dense, over-the-top foods. 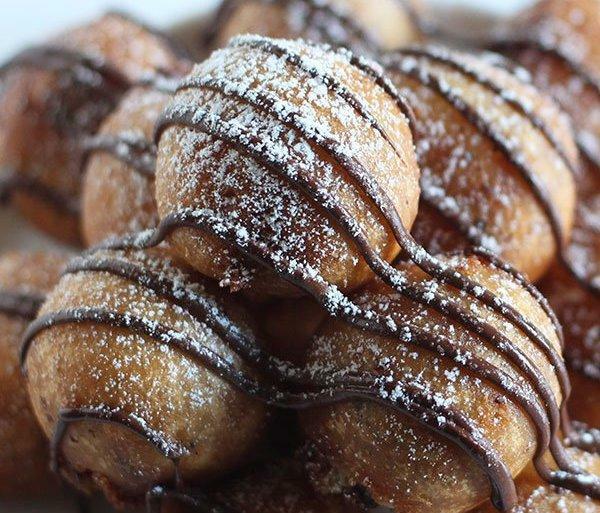 These annual events are known for taking already-indulgent eats like Oreos and candy bars and making them even tastier (and more terrifying) by deep-frying them and wrapping them in bacon. 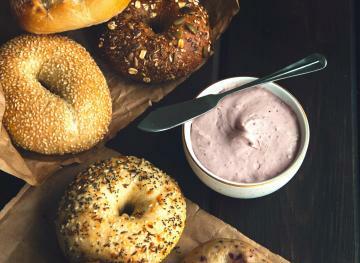 Our health-conscious side shudders at the thought, but our taste buds are totally on board. 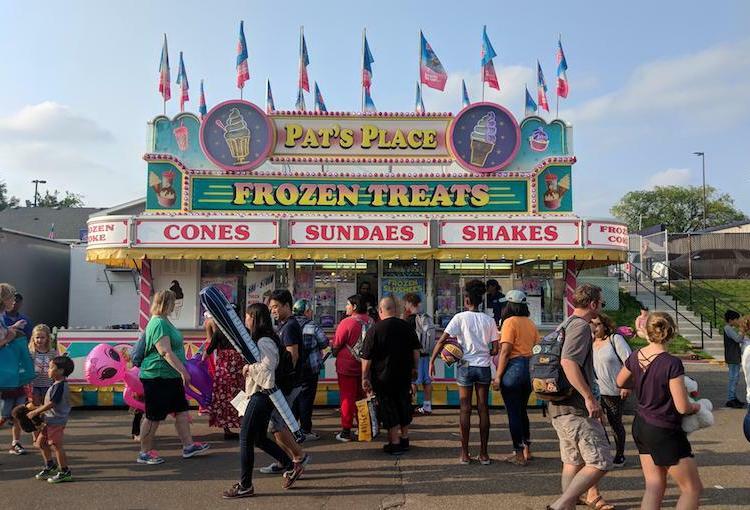 It’s no longer state fair season, but we can’t bear the wait to taste staple fair treats again. So we’ve rounded up recipes for seven of our favorite state fair foods so we can all recreate the amazing flavors in the comfort of our own homes whenever the mood strikes. State fairs are notorious for wrapping almost everything in bacon. There are bacon-wrapped fried Oreos, bacon-wrapped corn dogs and there’s even bacon-wrapped cake. But one of the tastiest bacon-wrapped staples that you can find at state fairs all over the country is bacon-wrapped caramel apples. Caramel apples are already delicious on their own, but when you add bacon, the treat becomes a mouthwatering monstrosity that you simply can’t resist. Check out this bacon caramel apple recipe from Oh, Bite It! to recreate all of that yumminess at home. 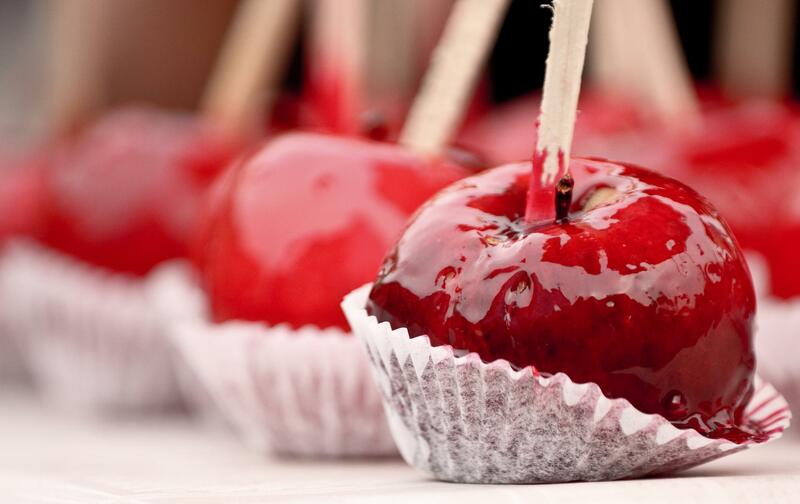 To make it, you’ll need just four things: medium apples, bacon, one bag of unwrapped Kraft Caramels and candy apple sticks. Eating deep-fried cookie dough at state fairs brings us back to our childhoods when we used to sneak a taste of the batter while baking cookies with our parents. 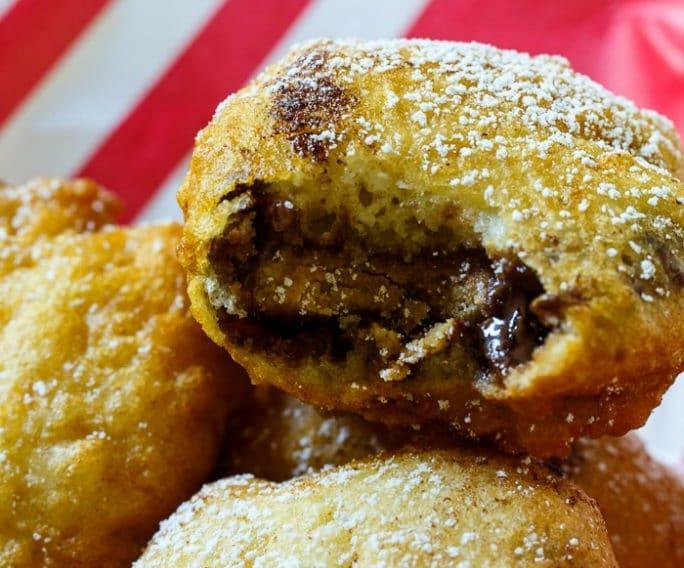 The best fried cookie dough has a crispy outer shell and an ooey-gooey middle, and this deep-fried cookie dough recipe from Handle The Heat nails that combo. It’ll teach you how to make homemade cookie dough and fry it to perfection all in just 35 minutes. This state fair belly bomb combines our two favorite foods into one decadent treat. 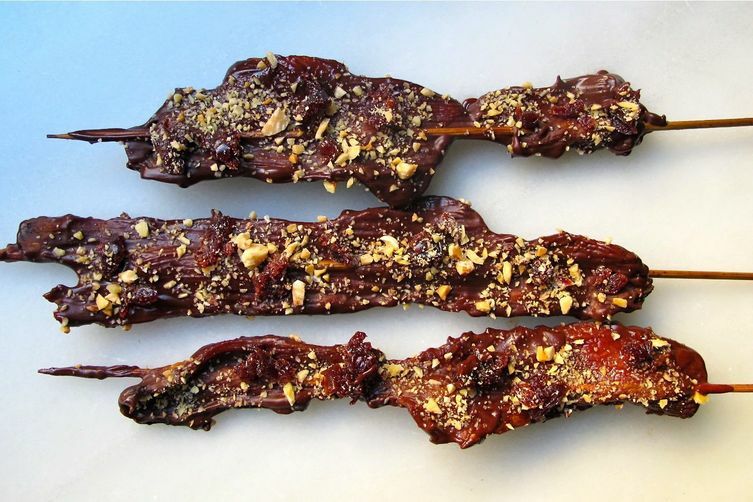 Classic chocolate-covered bacon consists of cooked bacon coated with either milk or dark chocolate salted to perfection. This chocolate-covered bacon on a stick recipe from Food52 adds an elegant twist to the traditional treat by baking the bacon in the oven instead of frying it. In addition to being covered in semi-sweet chocolate, the bacon is also drizzled with a mixture of chopped almonds and dried cherries. It’s the perfect original finger food to serve at your next get-together. You don’t really realize how many food items taste better deep-fried until you attend a state fair. Peanut butter cups, for instance, taste almost twice as amazing when submerged in hot oil and fried to perfection. If you’re looking to create the classic peanut butter-chocolate combo at home, check out this deep-fried peanut butter cups recipe from Spicy Southern Kitchen. To make these tasty treats, you need flour, baking powder, salt, milk, one egg, 12 Reese’s peanut butter cups (depending on how many you want to make), powdered sugar and vegetable oil for frying. At the Texas State Fair, simply frying bacon isn’t enough. To stand out among other delicious state fair foods, the bacon has to be covered in batter before hitting the deep fryer. 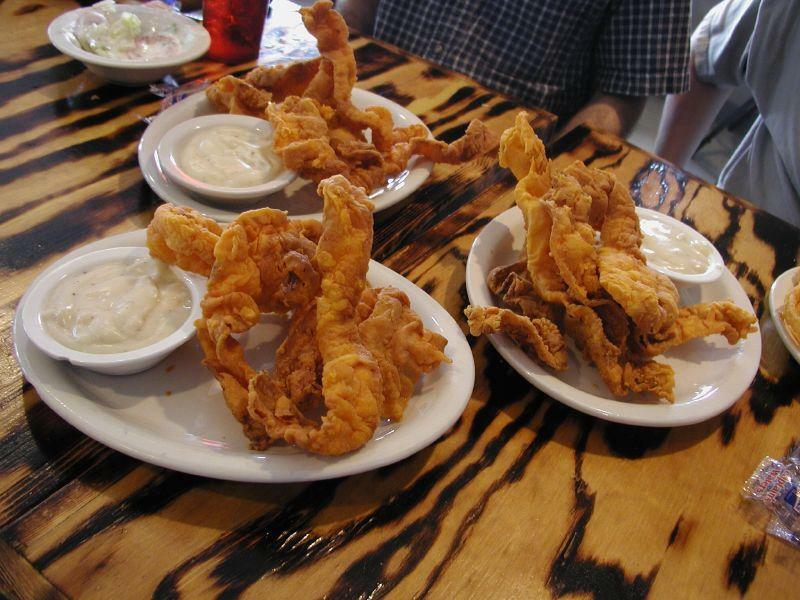 The result is a dish that’s called chicken-fried bacon (even though it doesn’t actually require chicken to make). By following this chicken-fried bacon recipe from Delish, you’ll be able to recreate this staple state fair food in just 3o minutes. The recipe will also teach you how to make gravy from scratch to use as a dipping sauce. If you attend a state fair without eating funnel cake, did you really go to a state fair? This fried dough cake is such a staple at state fairs and carnivals across the country that we can’t really think about one without daydreaming about the other. Although it may sound intimidating, making funnel cake actually isn’t that labor intensive. 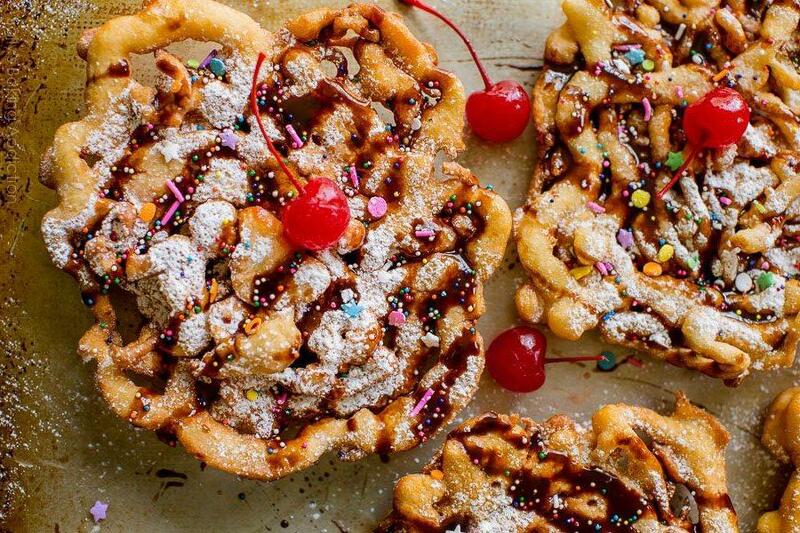 This homemade funnel cake recipe from Sally’s Baking Addiction will take you a total of 35 minutes to make, including prep time. To make it, you need nine ingredients: whole milk, all-purpose flour, baking powder, light brown sugar, two large eggs, vanilla extract, salt, vegetable oil for frying and ground cinnamon for added flavor. 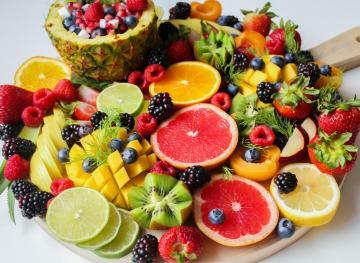 You can then add your favorite toppings at the end. The recipe’s author recommends that you add toppings like powdered sugar, whipped cream, chocolate syrup and/or sprinkles. Mac ‘n’ cheese is yet another food that tastes delicious when deep-fried. 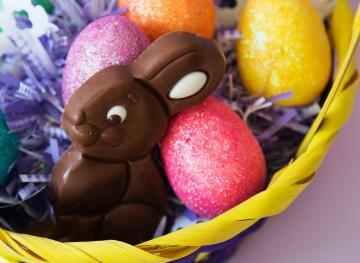 (Although, for your health’s sake, we wouldn’t recommend eating it often.) 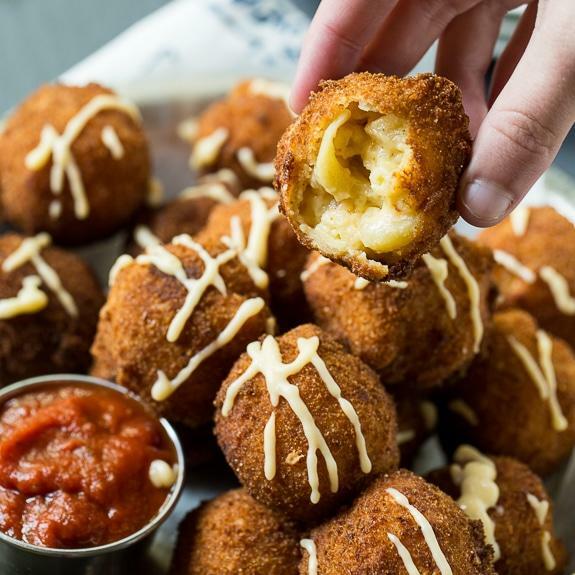 If you’re curious about how to make this artery-clogging delight at home, we’d recommend checking out this fried mac ‘n’ cheese recipe from Spicy Southern Kitchen. It’s pretty labor-intensive because it requires making homemade mac ‘n’ cheese first, but we’re betting that it would taste almost as delicious if you opted to use a store-bought variety instead.